Studies showing cinnamon as an effective diabetic treatment have proposed that cinnamon may have an insulin-like effect on cells -- triggering cells to take glucose out of the blood -- or that cinnamon may cause an increase in the activity of the transporter proteins that move glucose out of the bloodstream and into cells. In the randomized controlled trials, people were given between 120 mg/day to 6 g/day for 4 to 18 weeks. That's the equivalent of between a small fraction of a teaspoon to two teaspoons per day. Adding a small amount of cinnamon to your daily diet--by sprinkling it on oatmeal, or using it to spice up a Mexican chili--can't hurt and may help. But as with any supplement, check with your healthcare professional before taking cinnamon in larger doses. As with all dietary supplements, it should be noted that supplements are not regulated by the FDA, leaving the door open to manufacturing risks. In addition, cinnamon may increase the risk of liver problems and reduce the blood's ability to clot. Because cinnamon may lower blood-sugar levels, caution should be exercised when combining it with other common diabetic medications and/or supplements that may also lower sugar levels. Some of these supplements include: alpha lipoic acid, bitter melon, chromium, devil's claw, fenugreek, garlic, horse chestnut, Panax, Siberian ginseng, and psyllium. Though some studies have shown cinnamon can improve glucose and lipid levels in type 2 diabetes, other studies have not shown cinnamon to improve glycemic control. 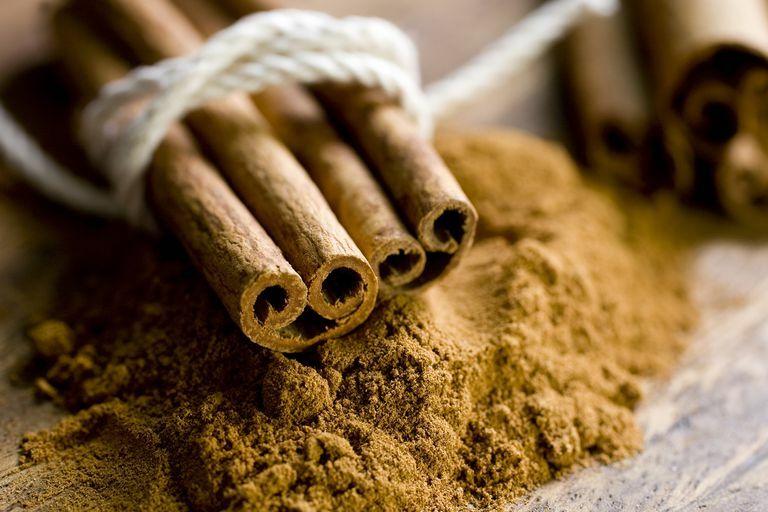 Since the data regarding cinnamon's efficacy in reducing glucose levels is inconsistent, the American Diabetic Association does not endorse the use of cinnamon as a therapy for diabetes at this time. Your first approach in managing diabetes should be to follow your diabetes meal plan, staying physical activity and taking any prescribed medications. For more information about cinnamon and diabetes, read Cinnamon for Diabetes. Allen, et al. Cinnamon Use in Type 2 Diabetes: An Updated Systematic Review and Meta-Analysis. Annals of Family Medicine, September 2013. 11(5): 452 - 459. Can Tai Chi Help Your Diabetes?